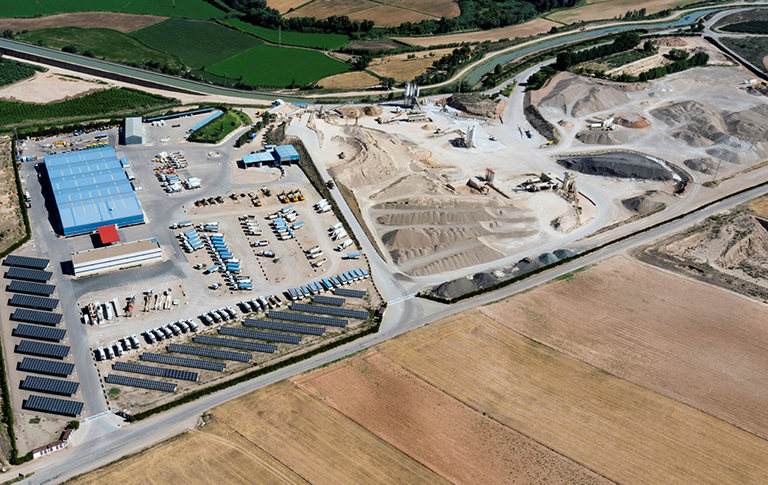 The MLN Group’s production centre is located in Bárboles, which also includes the municipalities of Zaragoza and Alagón. 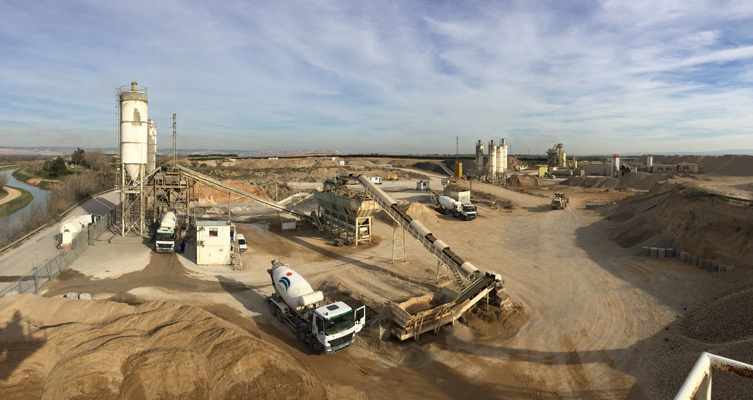 The entire site comprises more than 400 hectares of land owned by Grupo MLN, some of which is already occupied by installations and quarries in operation. 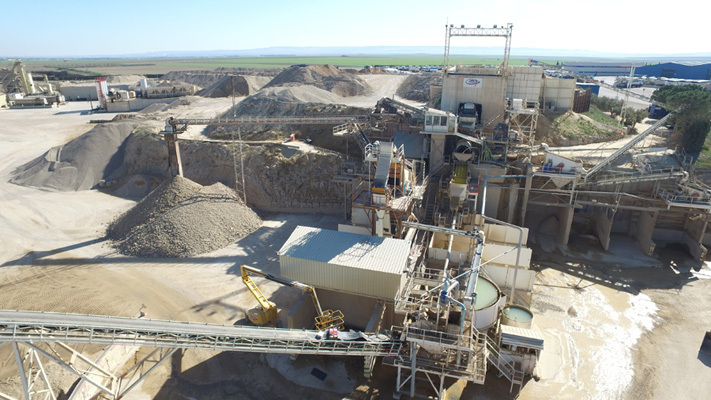 In addition, the Group has several direct mining concessions for the extraction of aggregates in the area, covering a total of fifteen mining squares covering more than 1,500 hectares for future operations. 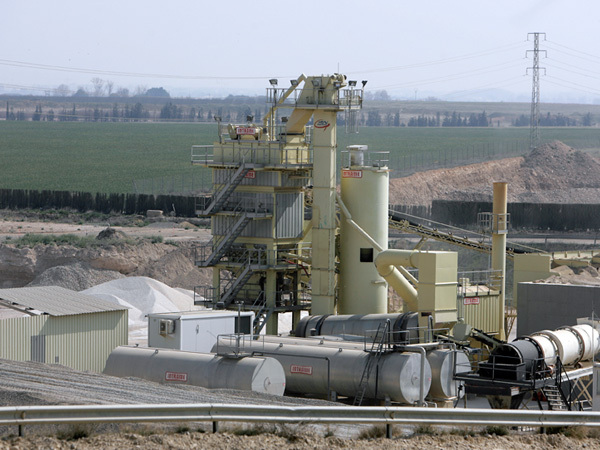 Based on the principle of circular economy, the land before being exploited as a mining right is dedicated to the agricultural exploitation, and once the material is extracted, it is regenerated and returned to its original agricultural use, being used for the cultivation of olive trees and vines. 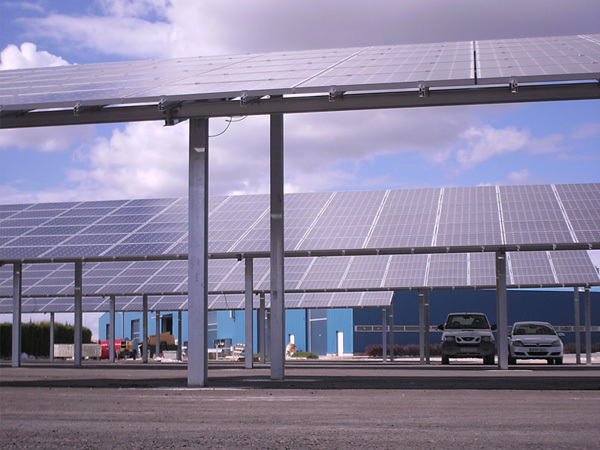 Following one of the MLN Group’s principles of concern for the environment, a solar farm was installed consisting of four individual photovoltaic installations of 100 Kw. 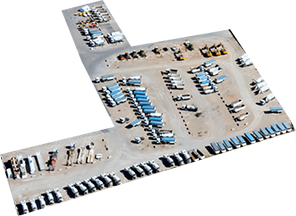 of power each, two of them installed on canopies that act as parking lots with capacity for 100 cars and another two on supports fixed to the ground. With an estimated useful life of 25 years, since the end of 2007 they have produced around 650,000 kWh per year, which avoid the emission of 250 MT of CO2 into the atmosphere per year. 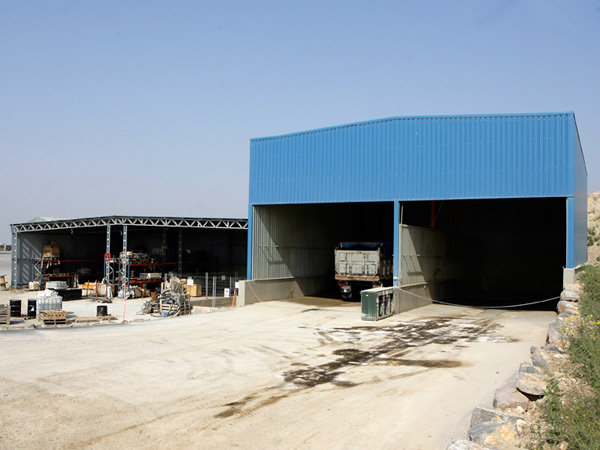 Office building designed to house all the personnel who carry out the administrative and managerial tasks of the Production Plant. 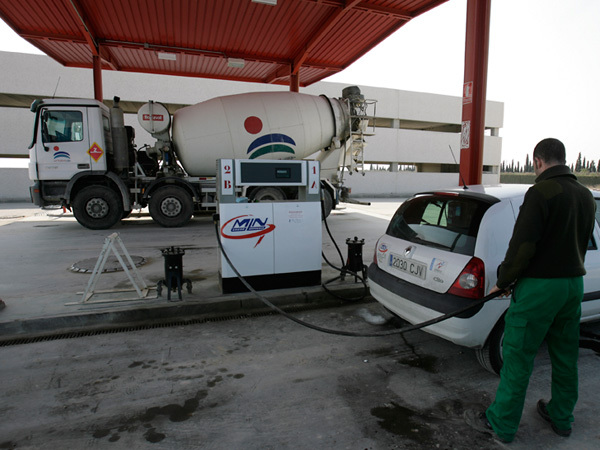 Petrol station with a capacity of 400,000 litres of fuel that works permanently to provide service to the machinery of the MLN Group. 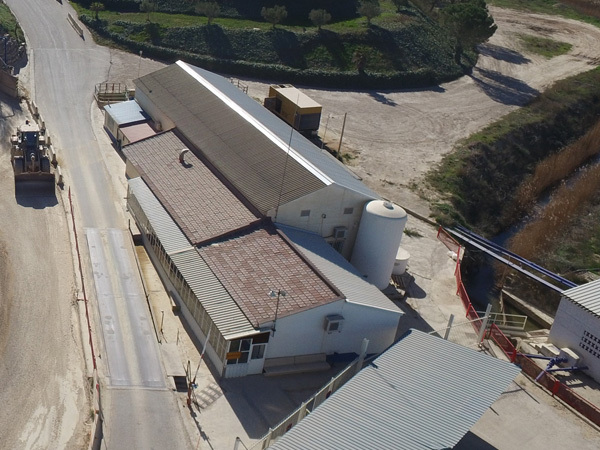 Installation of more than 300 m 2 dedicated to the analysis of raw materials (aggregates) and finished products (asphalts and concrete), guaranteeing the best quality in the MLN Group’s production. 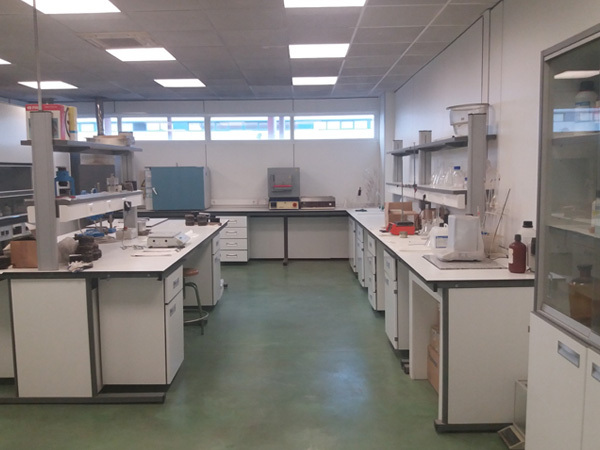 Its high technological endowment allows us to continue improving internal quality control and demonstrates the MLN Group’s commitment to research, development and innovation. It also actively collaborates with the projects developed within the MLN Chair, welcoming university students who develop their final projects there. 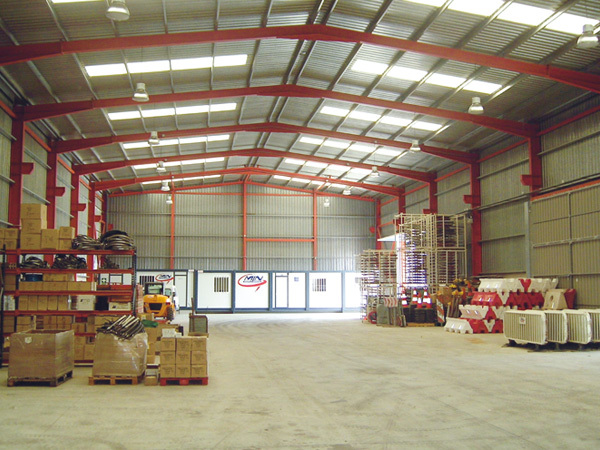 Storage area for tools and auxiliary machinery for construction sites, as well as vehicles for transporting personnel, whose rental service is provided through the company ZAMAX. 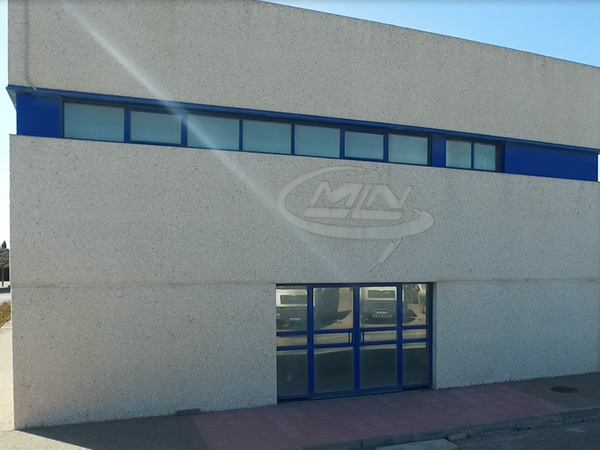 The boilermaking department carries out its work in a 1,000 m2 warehouse, where it is responsible for the manufacture and assembly of a large part of the metallic elements of the MLN Group’s works, as well as for the maintenance of the production plants, both fixed and mobile. 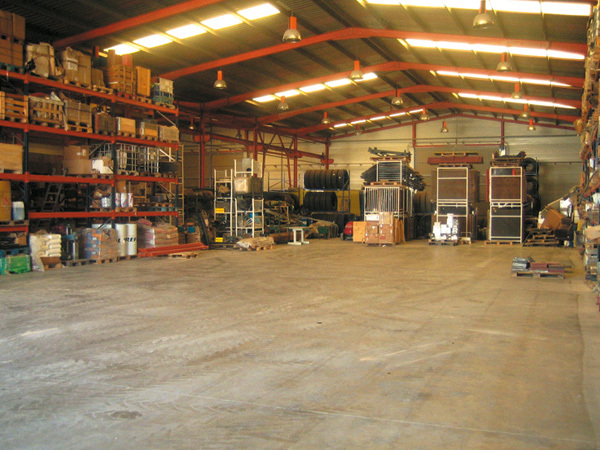 General warehouse that houses all types of construction material and all types of spare parts required by the different departments and divisions of the MLN Group, which allows for any need to have them immediately available. 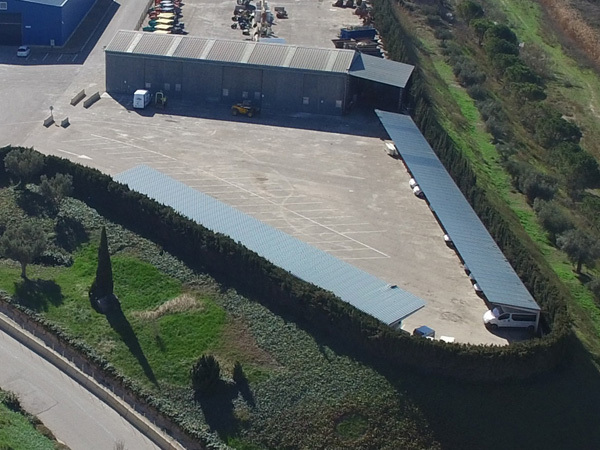 More than 2.500 m 2 of mechanical workshop with all the necessary means for maintenance and repair of the machinery of MLN Group. 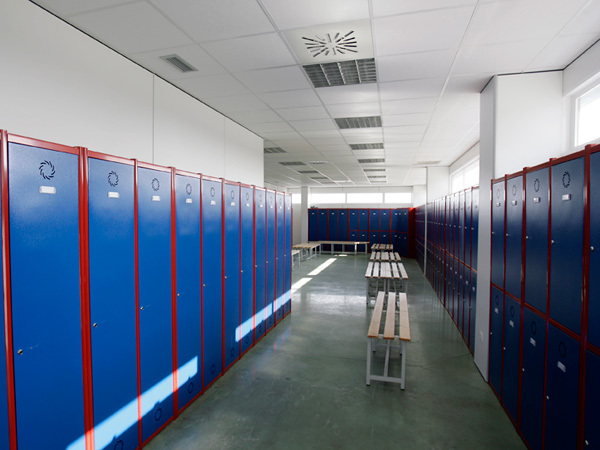 It is made up of a team of more than 15 full-time employees, who carry out independent and individualised monitoring of both the maintenance and the permits and document management of each of the machines. Campaign intended for the storage of accessories attachable to backhoe loaders for work other than loading, such as breakwater handlers, demolition clamps and scrapers for crushing material and making trenches. 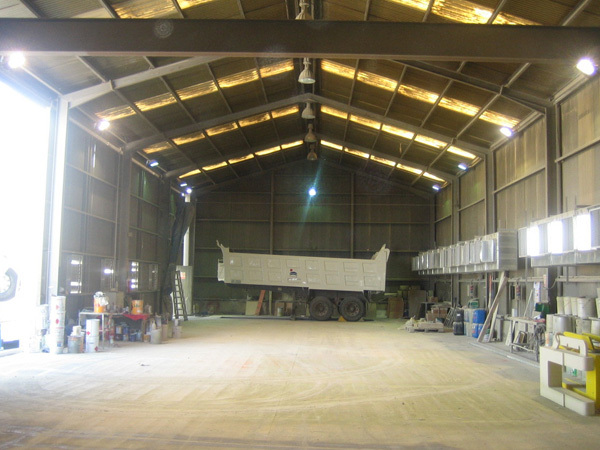 It consists of a building equipped with painting facilities and a ventilation system, and another building where work is carried out on the elements manufactured in the boilermaking workshop, the maintenance of vehicles, machinery and elements of the aggregate, concrete or asphalt plants. 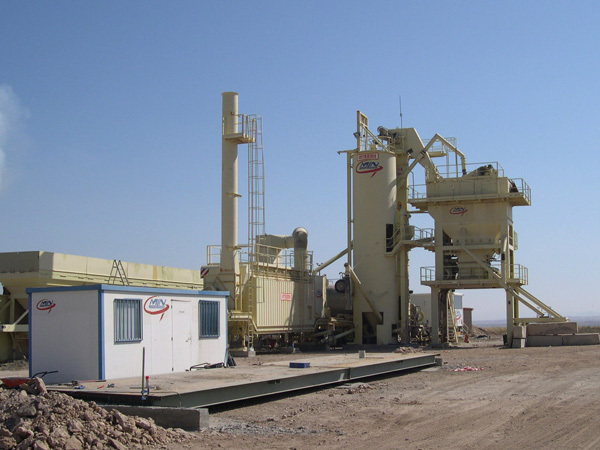 Weighing scale and building housing the administrative staff responsible for this task. 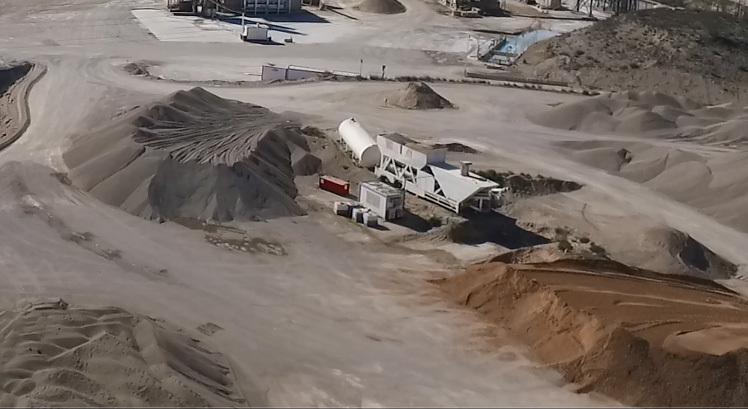 It also has a training room and a dining room for more than one hundred people that provides service to all the personnel working at the plant, as well as to the drivers who carry out services for the different works and supply asphalt, aggregates and concrete for them.